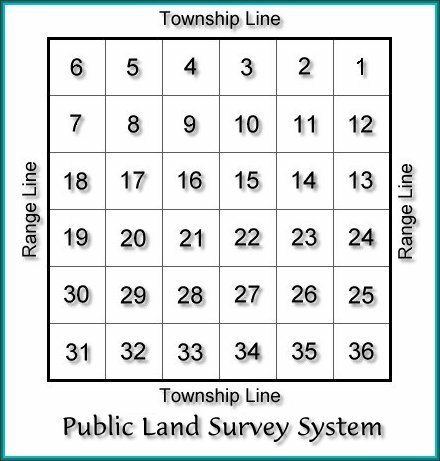 Kansas was originally surveyed using a system first developed by Thomas Jefferson called the Public Land Survey System. The different Manuals of Instruction, such as the one published in 1855, were issued as improvements on Jefferson’s original idea. The Public Land Survey System (PLSS) is a legal reference system designed to ease the description, inventory and transfer of real property. The PLSS surveys in Kansas were conducted between 1854 and 1876. 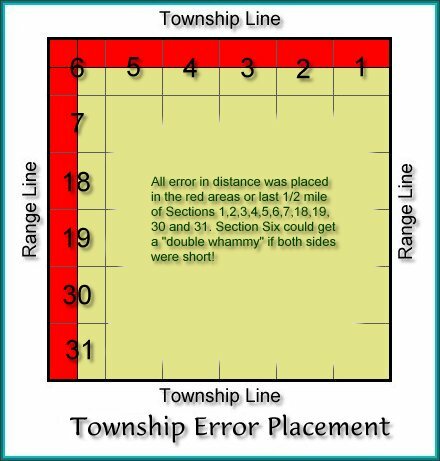 Today, a great majority of land transactions in the 30 western-most states are described with this section, township, and range system. The Public Land Act of 1785 stipulated the use of the English mile as the national distance measurement and required that it be measured using the 66-foot Gunter’s chain. The Kansas-Nebraska Act of May 30, 1854 defined the boundaries of the Territories of Kansas and Nebraska and caused the Commissioner of the General Land Office to appoint a Surveyor General for the two territories. The Surveyors General Office consisted of a Chief Clerk, Chief Draftsman, Draftsmen, copyists, clerks, accountants and messengers. 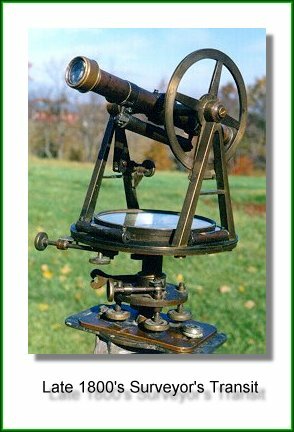 Deputy Surveyors (the surveyors who conducted the actual surveying) were paid by the mile of surveying at the rate of $12.00 for standard lines (Standard Parallels and Guide Meridians); $7.00 for exterior lines of Townships and $5.00 for interior of subdivisions. All surveys must have a reference point or Point of Beginning. For Kansas, this point is known as the Initial Point for the Sixth Principal Meridian. This point was established by U. S. Surveyors Charles A. Manners and Joseph Ledlie on June 11, 1855 and is near the present town of Mahaska, Kansas. Manners had been ordered by John Calhoun, Surveyor General for the Kansas and Nebraska Territories (appointed August 26, 1854), to proceed west on the 40th parallel of latitude north (now the Kansas-Nebraska border) for 108 miles, from the point of beginning on the west bank of the Missouri River, to reach this point. Why 108 miles? 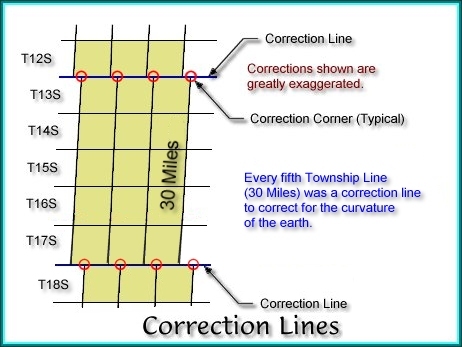 a surveyor can survey a line for nine miles before having to resort to using spherical geometry and trigonometry to correct for the earth's curvature. After nine miles, the surveyors could stop and make corrections from astronomical observations, then continue on. The number 108 is divisible by nine, thence the number was chosen. It was from this point that the survey of the public lands in Kansas and Nebraska, most of Colorado and Wyoming and a part of South Dakota began. The selection of this particular point has determined the shape of much of the American West as we know it today. 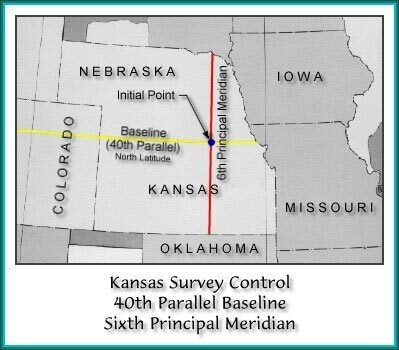 The Initial Point of the 1st Guide Meridian East was run before the 6th P.M. and was used as the initial Meridian for all of Kansas to the East. After determining this point, located between ranges 8 and 9 east, in Marshall County, Joseph Ledlie and Charles Manners parted company; Ledlie went south and Manners headed north to begin to run the parallels. 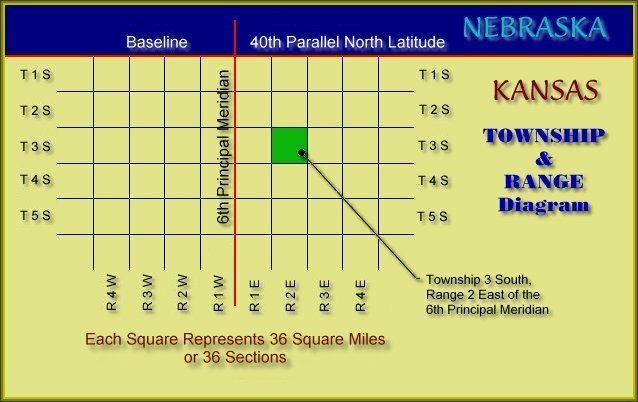 For those in the eastern part of Kansas, the 1st Guide Meridian East is actually more significant than the 6th P.M. which is the primary guideline for the rest of Kansas. Many KSLS members are also members of “ Surveyors of the 6th P.M.” which was responsible for re-monumenting the initial point of 6th P. M. in 1987. 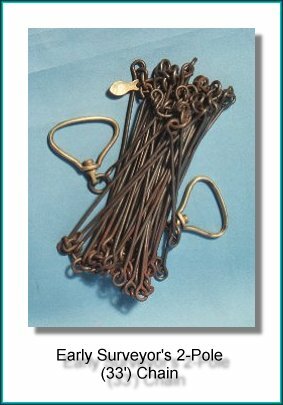 This means the survey party had to measure 80 chains to obtain a measurement of one mile. The chain had to be held taut and not allowed to follow the natural contour of the terrain. If the terrain was too steep, a 2-pole or 33-foot chain was used. From the Initial Point, the Sixth Principal Meridian running true north and south, was established and the Standard Parallels and Guide Meridians were surveyed. As the Standard Parallels were completed, the contracts for the exterior lines of the Townships were let. Township lines were set six miles apart from each other going South from the 40th parallel North (for Kansas) and Range lines were set six miles apart both East and West of the Sixth Principal Meridian. The Townships were numbered, starting with One for the first six mile increment, Two for the second and so forth, giving each Township in Kansas the subscript of South. The first Township is called Township One South, the second Township Two South, etc. The Range lines were numbered from the Sixth Principal Meridian going East and West, again in six mile increments. The first Range East of the 6th P. M. is called Range One East, the second Range Two East and so forth. The same applied for the western side of the 6th P. M. Every fifth Township line or every 30 miles, a correction for the curvature of the earth was applied in order to keep things "squared" up. Once the Township and Range lines were in place, then the surveyors started subdividing these areas into one mile rectangular parcels known as Sections. They would start at the Southeast corner of the Township, go West one mile, then North six miles, marking each "half-mile" and "mile" corner in the manner prescribed by the Manual of Instructions. At each mile or Section corner, they would survey to the East and connect to the Section corner already in place, making any corrections for alignment, then survey back to the West and place the "half-mile" marker one-half way in between. These corners are designated as "mile" and "half-mile" so the reader can visualize the placement of these monuments. The "mile" markers are called Section Corners and the "half-mile" markers are called Quarter Corners. Each Section has four section corners and four quarter corners, all of them being common to the respective adjacent sections. Monuments were placed every half mile and painstakingly described in the surveyor’s notebook so that later surveyors could identify that marker as genuine. Below is a picture of the first monument laid in Leavenworth County under PLSS guidelines. Please note, removing or disturbing a survey monument is punishable under Kansas law (KSA 21-3724) This marker, was removed many years ago while the ground was being worked, but had been replaced and remonumented properly at the time of its displacement. It is currently in the safekeeping of Leavenworth County. 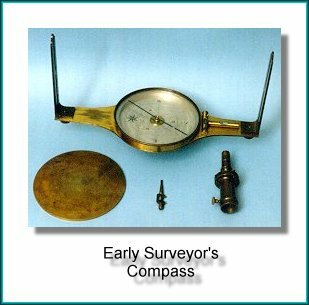 Early surveyors were often teased about being “nomads with sticks, trying to make a curved planet fit into a flat system.” What happened when the surveyor connected to the Section Corners on the Township line along the North of the Township or the Range line bordering the west side of the Township and did not quite measure the exact distance when he checked in? It was impractical to go back and re-survey the previous work and make any corrections so all error (either short or long) was thrown in to the last one-half mile along the northern and western tiers of the Township. These sections commonly vary from 160 acres. 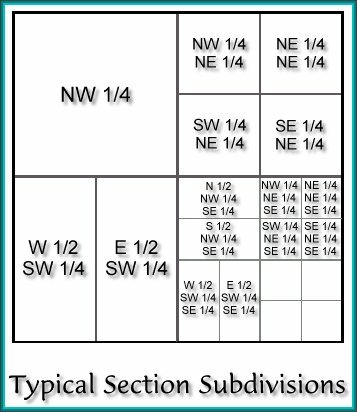 Even though the sections were surveyed from the South to the North, the numbering system for Sections begins with One at the northeast corner, then continues going West until Section Six is reached, then the first section to the South of Section Six is numbered Section Seven and the numbering goes back to the East and continues in this serpentine fashion until Section Thirty-Six is reached in the Southeast corner of the Township. See the diagram below. What is a section? A section is a parcel of land which was intended to be one mile square and contain 640 acres. A section can be divided into halves, quarters, quarter-quarters, etc. See the illustration below for some of the configurations.